There's a reason why he's known as the "the little Tiger of Puchong". The Puchong Member of Parliament (MP) was officially sworn in as Malaysia's new Communications and Multimedia Minister yesterday, 21 May, alongside 12 other core Cabinet members under Prime Minister Tun Dr Mahathir Mohamad's administration. From left: Gobind, sister Sangeet Kaur, younger brothers Ramkarpal and Mankarpal, mother Gurmit, eldest brother Jagdeep, and Karpal Singh. 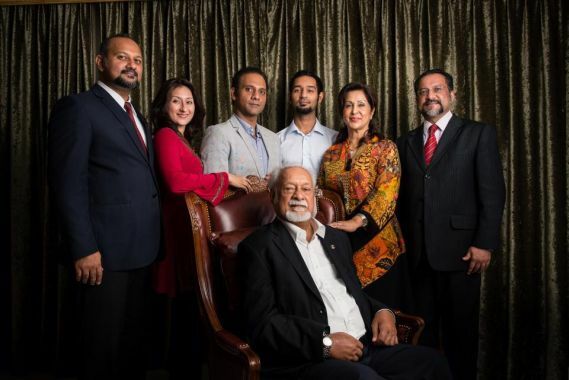 Out of the late Karpal Singh's five children, four of them are involved in politics. In the 14th General Election (GE14), Gobind's elder brother Jagdeep Singh Deo won the Penang ADUN seat for Datuk Keramat for the third time, while his younger brother Ramkarpal Singh retained the Bukit Gelugor parliament seat previously held by their father. Meanwhile, according to The Star, their sister Sangeet Kaur is serving as Wanita DAP international secretary and Selangor Wanita DAP deputy chairman. 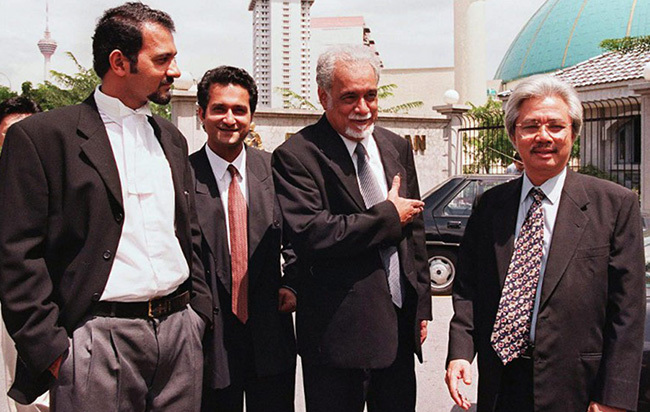 From left: Gobind Singh, Jagdeep Singh, Karpal Singh, and Zainul Zakaria in 1999. Gobind holds a Bachelor of Law degree from UK's University of Warwick and was even admitted to the Honourable Society of Lincoln's Inn as a Barrister-at-Law. One year after his return to Malaysia, he was admitted to the Malaysian Bar in 1996, serving in his father's law firm Messrs Karpal Singh and Co. until 2006. In the same year, he set up his own firm Messrs Gobind Singh and Co. in Kuala Lumpur, which he is still heading till this day. 4. 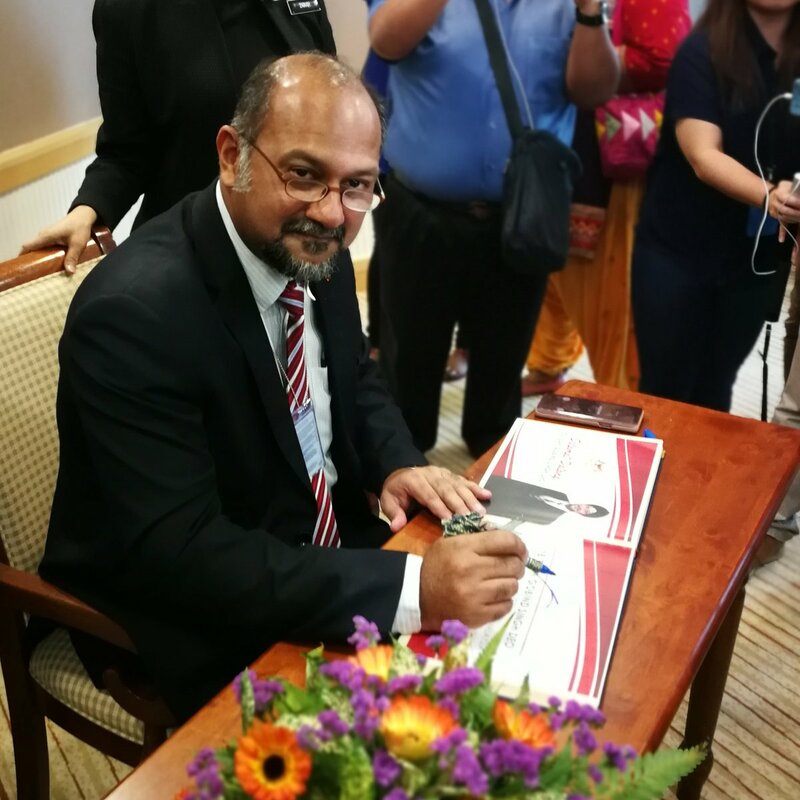 Elected as Puchong MP in 2008, Gobind is fondly referred to as the "little Tiger of Puchong"
It is said that Gobind displays a similar temperament to his father... like getting thrown out of Parliament sittings. According to a 2010 report by The Star, he was kicked out from Parliament three times in two years (from November 2008 to November 2010). 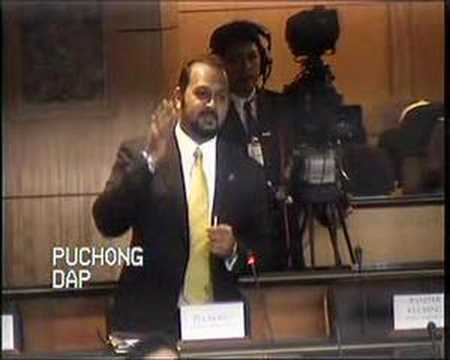 The Puchong MP was thrown out of Parliament and suspended for two days after defending his father in Parliament in November 2008. In 2015, Gobind found himself ejected from Parliament again after questioning Speaker Tan Sri Pandikar Amin Mulia's decision to reject a motion by then Segambut MP Lim Lip Eng to debate toll price hikes. 5. He was once suspended from Parliament for 12 months for calling then Deputy PM Datuk Seri Najib Razak a "murderer"
On 16 March 2009, in addition to being suspended from Dewan Rakyat, Gobind was also stripped of his salary and allowance as MP for 12 months after alleging that Najib was involved in Altantuya Sharibuu's murder during a parliamentary debate. 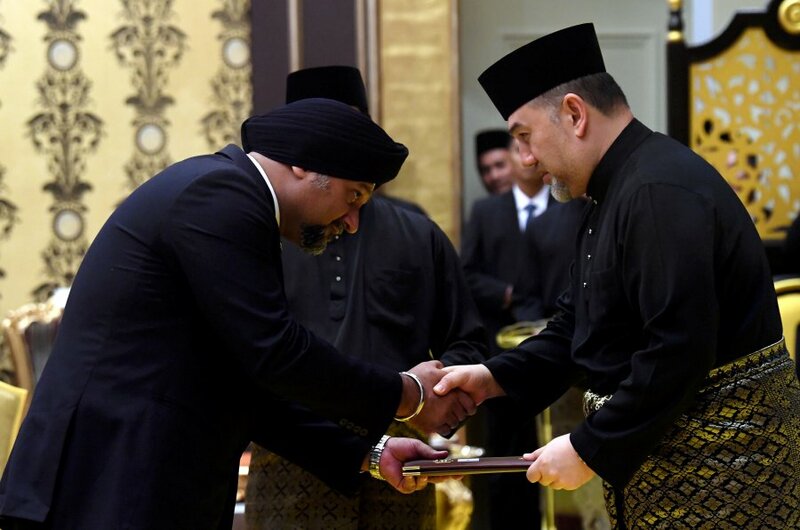 However, Parliament was later ordered to pay Gobind what was owed to him after the High Court ruled that the federal government had no power to withhold payment of his salary and allowance as MP. 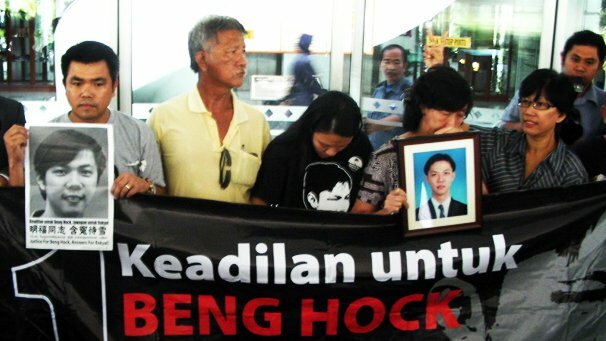 Teoh's family campaigning for justice following his sudden death in 2009. Teoh, a journalist and political aide to Selangor executive councillor Ean Yong Hian Wah, was found dead on 16 July 2009, over two weeks after he was taken into MACC custody for questioning over allegations of corruption on 1 July 2009. 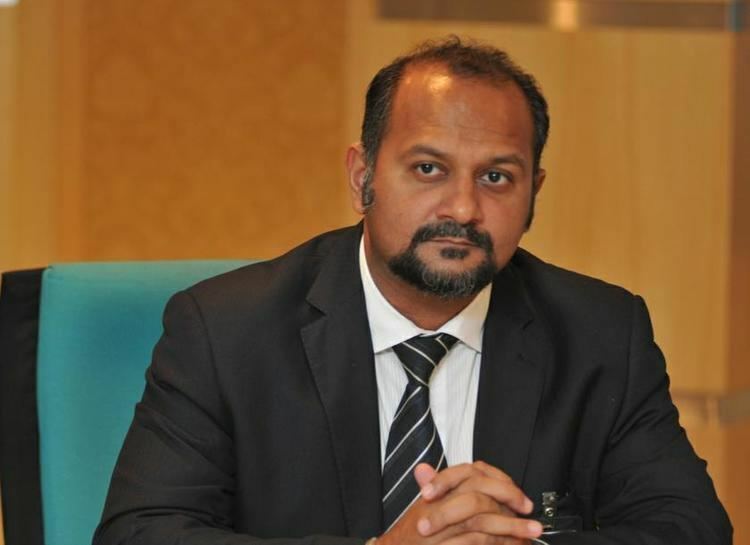 Gobind took on the case on behalf of DAP's National Legal Bureau. After a six-year legal battle, MACC finally admitted their negligence and agreed to pay Teoh's family RM600,000 in damages and RM60,000 in legal costs. Noor Atiqah (left) and her daughter. 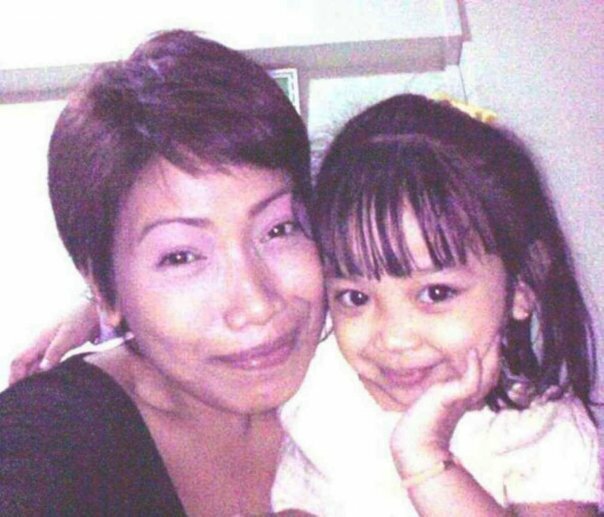 According to Straits Times, single mother Noor Atiqah, then 26, was charged for drug trafficking and sentenced to death after being caught with 370g of heroin and other drugs in her bag at the Sepang airport budget terminal on Jan 5, 2009. The charge was later reduced to possession of drugs after Gobind produced new evidence to support her claim that she was unaware of what was in the bag. She was sentenced to 12 years in jail instead. 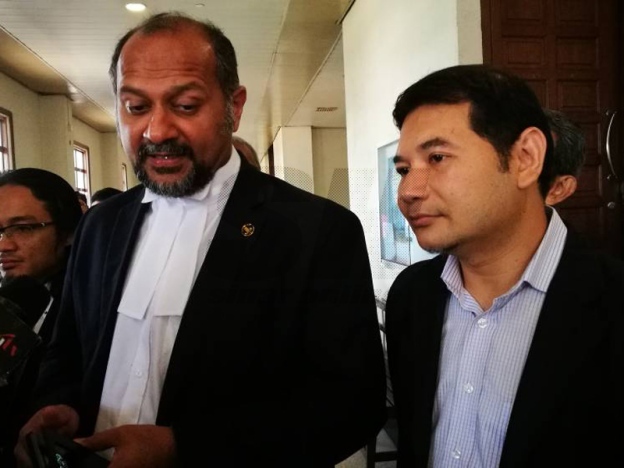 Gobind served as Rafizi Ramli's defence counsel when the then Pandan MP was charged under the Official Secrets Act for leaking the 1MDB audit report in 2017, and again in February this year when he was charged for defaming Tabung Haji on his blog. Gobind also formerly served as the lead counsel in current Finance Minister Lim Guan Eng's corruption trial before it was taken over by his brother Ramkarpal. According to news portal Asia Samachar, the only other nations that have Sikhs as ministers at the national level are India and Canada. Follow SAYS on Facebook and Twitter to catch up on the latest trending news! The MPs were sworn in in front of the king at Istana Negara yesterday, 21 May. "We have to find ways to improve the freedom of press in the country." The new 1MDB task force is headed by several former investigators.